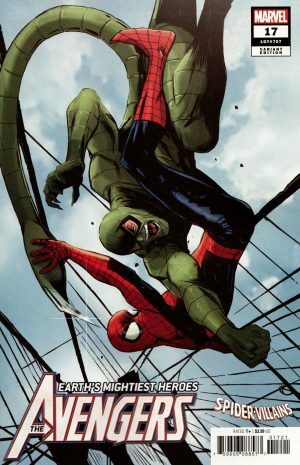 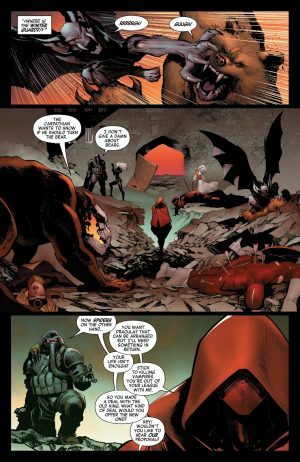 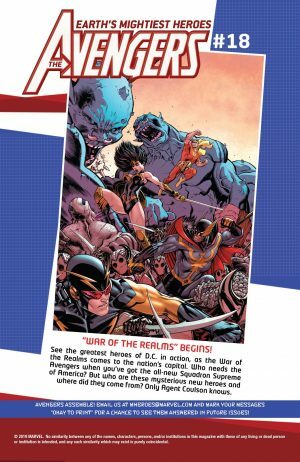 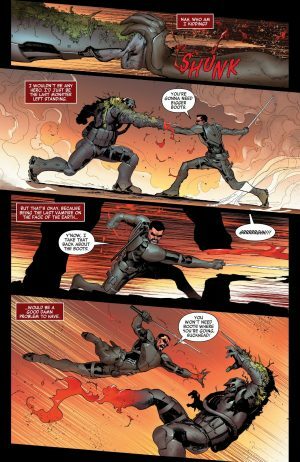 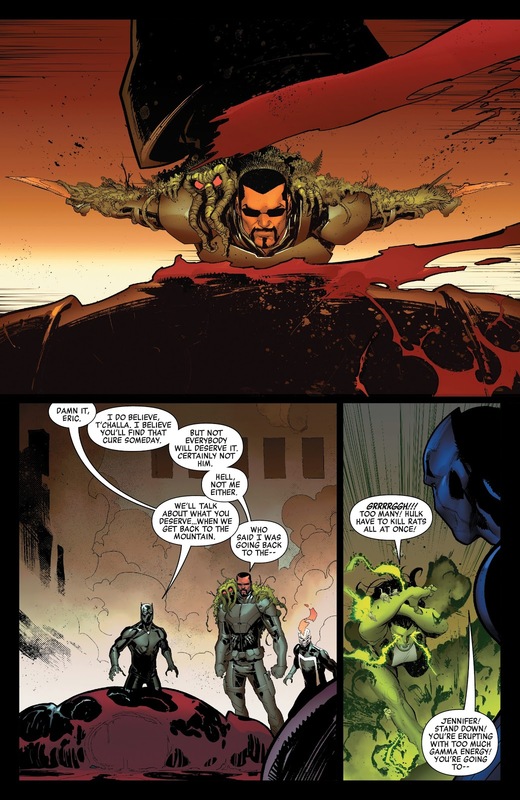 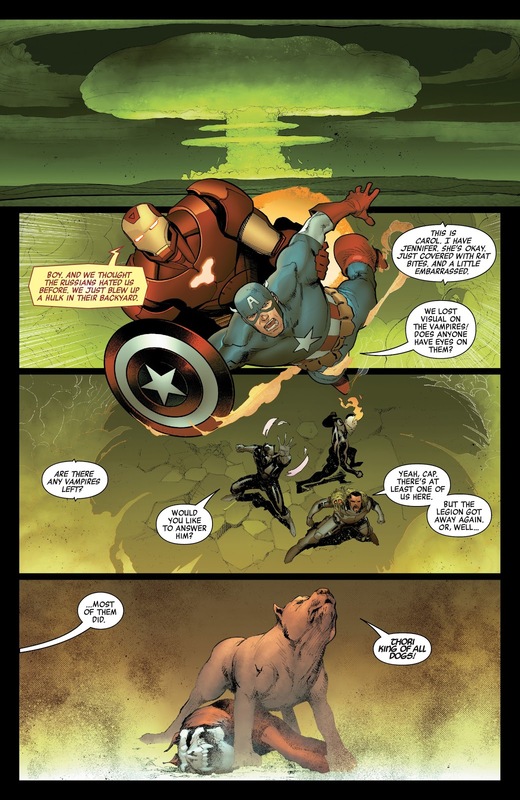 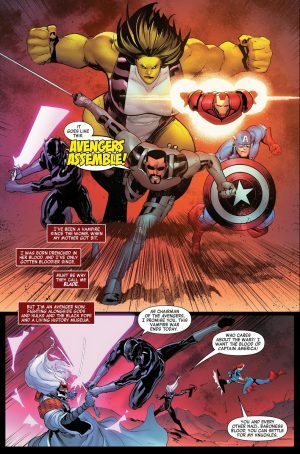 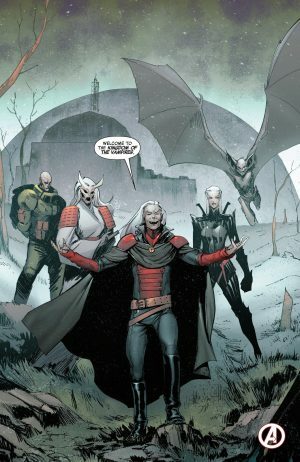 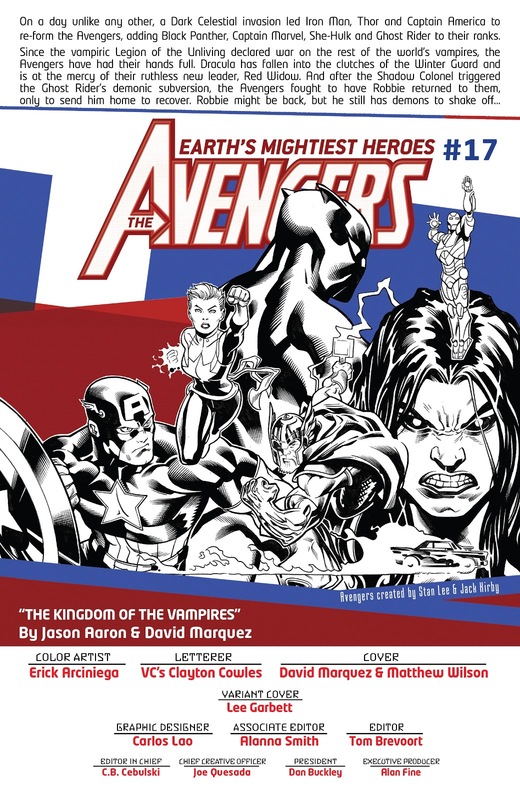 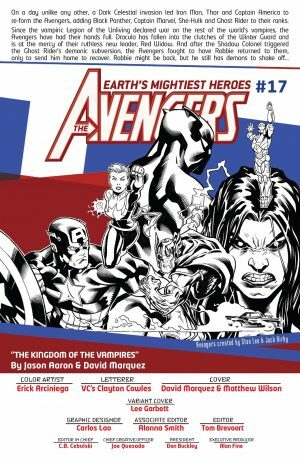 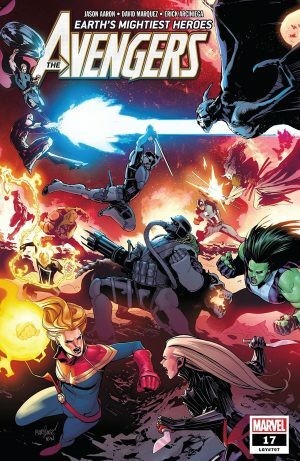 Marvel Comics Universe and Avengers #17 Spoilers follows. …the Avengers join the fray! 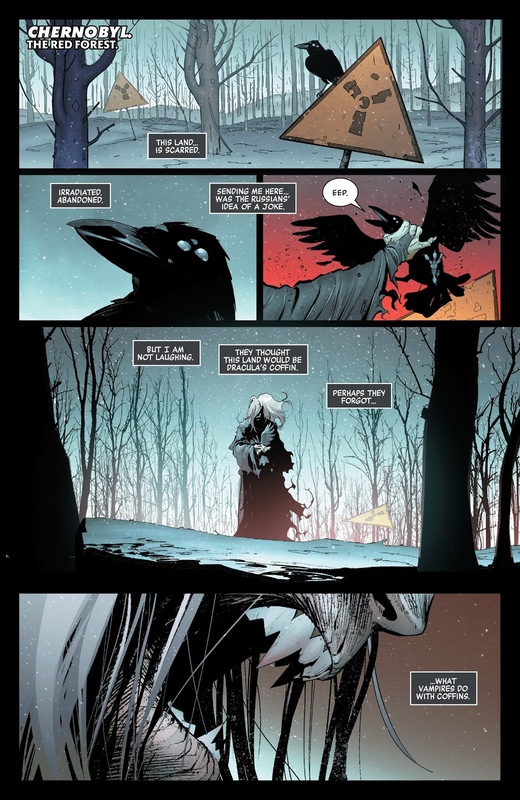 …as an escaped Dracula is pensive in a irradiated Chernobyl. 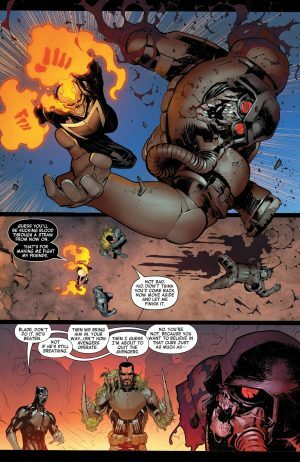 Ghost Rider sides with the Avengers and Blade frees Man-Thing! The book ends with Dracula again at lead the vampires from a new Vampire Kingdom in Chernobyl? …Phil Coulson and his Squadron Supreme of America!